54-year-old Kenan Keklik has been spending his 3 years and 45 days of prison sentence for allegedly chanting slogans on behalf of the outlawed Kurdistan Workers’ Party (PKK) back in 2011. Keklik who has speech and hearing impairment since birth was arrested and put in a closed prison in the eastern province of Van on July 11, this year after his conviction was upheld by a court in charge. 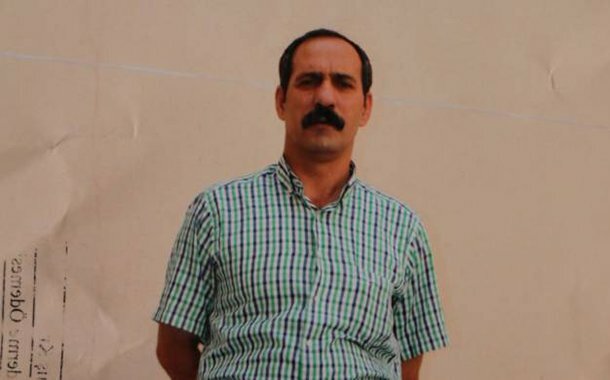 He was first detained for making propaganda for PKK during a “civil disobedience” protest, held by the pro-Kurdish Peace and Democracy Party (BDP) in Mus on Apr 26, 2011. “I have been unable to hear and speak for 54 years. I have medical reports confirming my impairments. However, I was arrested for making propaganda in 2011. And the reason is chanting slogans for the terrorist organization. The other reason was that I wore puşi [traditional Middle Eastern headdress popular among Kurdish people, also called as Keffiyeh]. First off, I am not even able to speak. How come I chant slogans? Secondly, I don’t get what offense I commit by wearing puşi. I was sentenced for chanting slogans and my sentence was upheld despite my medical reports. There is no other evidence other than those. I was slandered. I have nothing else to say,” media shared Keklik’s letter on Oct 31. Keklik has 75-percent disabled according to medical reports he claimed to possess.